Dori & The Outlaws are a modern four piece Americana band, playing country rock and blues, heavily influenced by the sounds of Nashville, Memphis and New Orleans, the birthplaces of their musical style. When it comes to singing about struggle and emotion, there are few genres that match the intensity of country/blues music and Dori is not afraid to wear her heart on her sleeve when writing her own songs, singing about both happiness and heartache in equal measures. The songs are assisted in their excellence by some amazing and talented musicians, who obviously love the musical genre and deliver a professional and at times outstanding standard of musical ability. You can look forward to hearing quality vocals, harmonica, classic lead guitar, upright bass and drums from seasoned pros who deliver a high quality and fast paced show for your entertainment ! 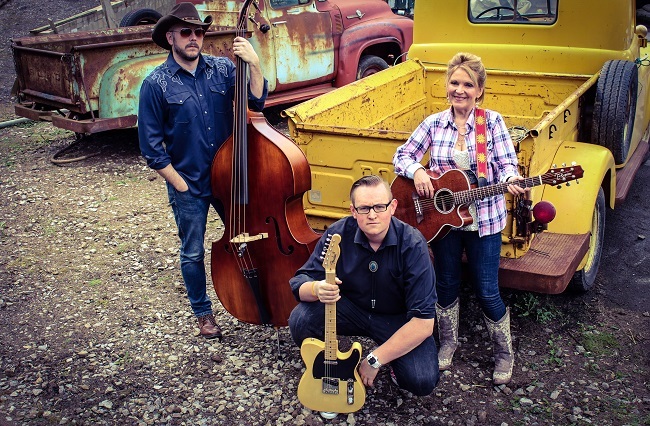 The band are also great ambassadors for the history of country music and tip their hats to the greats in their set with songs from the likes of Patsy Cline, Emmylou Harris and Johnny Cash. playing alongside such famous names as Billy Connolly and Gerry Rafferty when they performed as The Humblebums. Since moving to Yorkshire she has played both solo and with several different bands indulging her lifetime loves of song writing, playing guitar and singing. Jack Allen is an established guitarist from Harrogate, North Yorkshire. He’s played nationally and internationally with various bands and artists playing the whole spectrum of music from rock and blues to country. Jack's real passion is in country music. He was drawn in by the sounds of lap steel, pedal steel, banjo and of course the electric guitar. Jack’s playing is heavily influenced by all the Nashville greats such as Vince Gill, Guthrie Trapp, Daniel Donato, J D Simo, Brent Mason and many more. Jamie is also based in Harrogate and has played guitar and bass in a number of bands, spanning a variety of genres, over the last 20 years but has definitely settled into the country rock and blues groove over the past three years. The opportunity to introduce double bass to his range of talents has fitted in perfectly with the band!!! John is Harrogate based and has played with a myriad of bands over the years and is extremely proficient in his drumming talent. He comes from a background of rock music but has, over the last year while playing with Dori and The Outlaws, become the biggest fan of country style rock and blues. He is a little bit bonkers and real asset to the band !!! So there we have it , a group of musicians who have quite literally taken country/rock/blues music to their hearts and who deliver a show that mirrors this dedication to their music. A must hear for everyone !!! See below just a snippet of our feedback from our audiences ! !